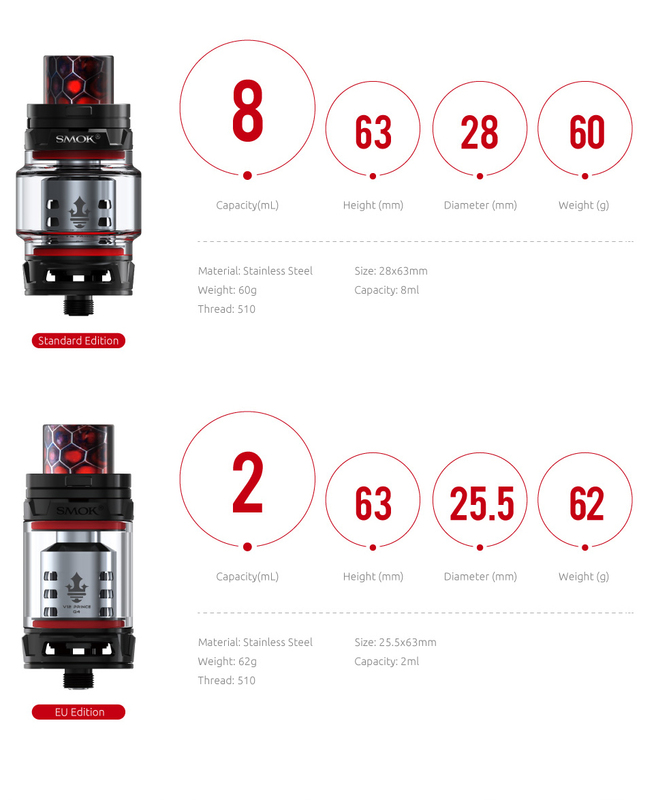 TFV12 Prince Tank, the baby of the super powerful cloud beast king , is not only a powerful one but also an all-round sub ohm tank for daily use. This kit includes three newest & carefully modulated coils: the Prince Q4, X6 and T10, all of which have huge cloud and extremely dense flavor.It also has newly designed crown-style body and colorful Cobra resin drip tip. 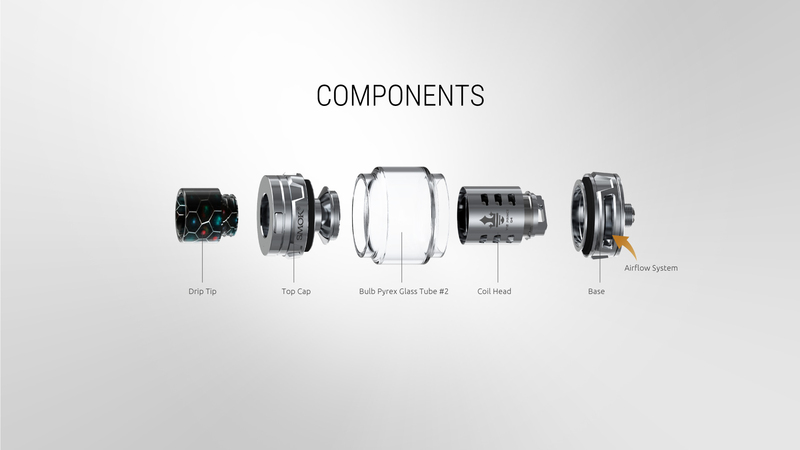 Besides, it uses convex glass tube, which effectively enlarged the capacity to 8ml!Start your vaping with TFV12 Prince tank, you will find out the innovation just keeps changing the vaping experience!